YouTube and FaceBook are neck and neck in the race for unique users. What was once a platform to post cat videos, bootlegged TV interviews, and your kid’s star turn in the school play, has evolved along with the rest of us. YouTube is now a living, breathing social network – successfully battling with Facebook for unique viewers on a daily basis. 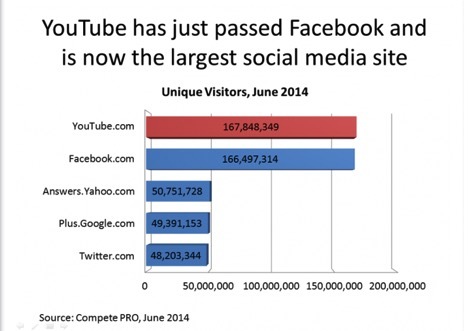 In June of 2014, YouTube surpassed Facebook for this honor, but they've arguably traded places more than once since then. As you read this, Facebook and YouTube are hashing out their roll in the new social networking landscape. Each has its strengths, perhaps simplified by giving YouTube the prize for videos with staying power and Facebook the award for fleeting, feel-good videos. Marketing blogger, Brian Honigman, noted YouTube’s ramp up in community-building. YouTube understands the value of their enormous network of creators and promotes community among them. In turn, these creators develop their own communities of devoted viewers. These viewers are not just watching YouTube videos, they are subscribing to channels so they can see your next video, they are commenting on videos - what they love and what they hate, and they are asking questions when they want to know more. They are sharing videos that move and inspire them. They'll even share videos that don't appeal to them, but they think might appeal to someone else! YouTube offers a truly powerful brand-building opportunity with an engaged community of viewers. As we duly noted last week, you need YouTube! Since forever, YouTube leads the online space for video play. But with 500 years worth of YouTube videos watched on Facebook every day, it was only a matter of time until Facebook got their video act together. In the last several months, Facebook did just that, and surpassed YouTube for the most videos played and viewed per month. 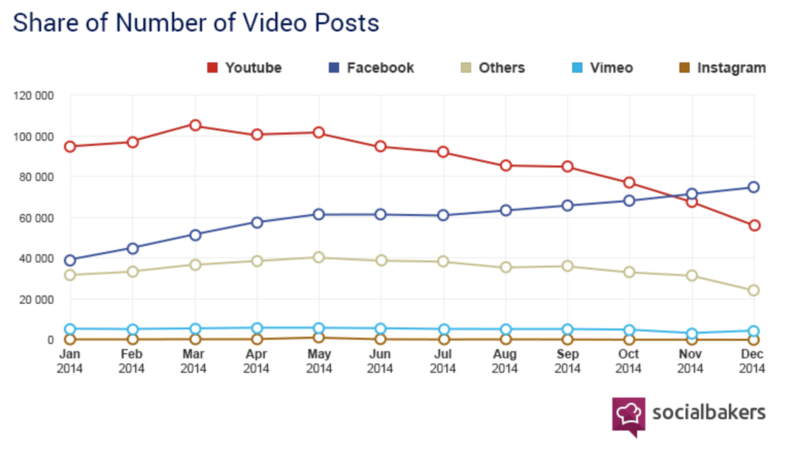 Facebook now has more video watched per minute than YouTube. Facebook’s new video autoplay feature is largely responsible for this increase. Instead of user-initiated views, FaceBook videos play automatically as users scroll through the feed. It’s a great tool to ensure your video is watched (and that your analytics look good for number of views! ), but does nothing to ensure engagement. As always, content is king. No matter where you post it or how the view is initiated, if the content is not interesting to your audience, it’s not worth the gigs on your hard drive. So for now, we closely watch the video experience on the social networking platforms of YouTube and Facebook... and continue to post engaging, optimized videos on both! Find out more about video and other marketing essentials with our free download "Marketing Checklist Essentials". We will email you a downloadable file.